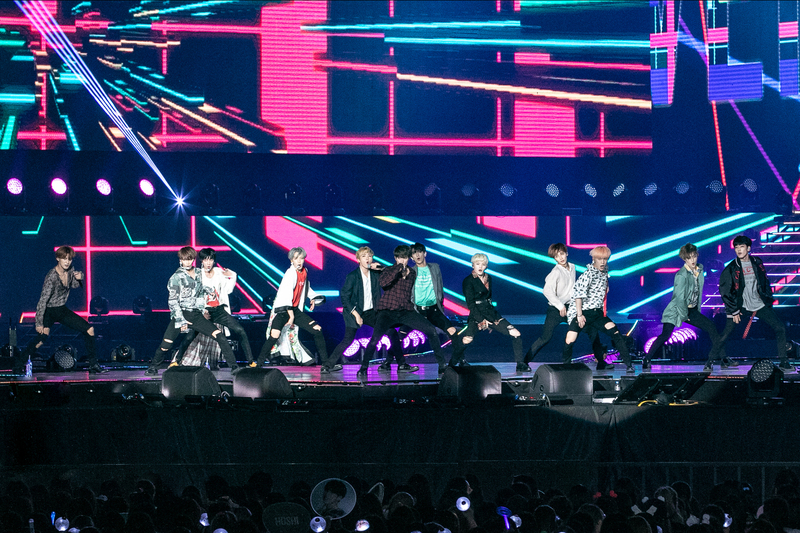 Taipei, 2018 – BTS, iKON, MAMAMOO, Red Velvet, Seventeen and VIXX headlined ‘SBS Super Concert in Taipei’ on 7th July. Attracting more than 16,000 fans, this event was definitely the hottest and most exciting one this weekend. Prior to the concert, the 6 group of artist greeted the media for a photowall session. Organised by JustLive, this event is grand and aims to bring fans with the best line up, performances, X shaped stage and LED screens. All 6 groups have prepared new and amazing stages, making this event one of its kind. In addition to an amazing lineup, Red Velvet Irene and Seventeen Mingyu will be the host of this event. The adorable height difference and their rapport with each other is praiseworthy. 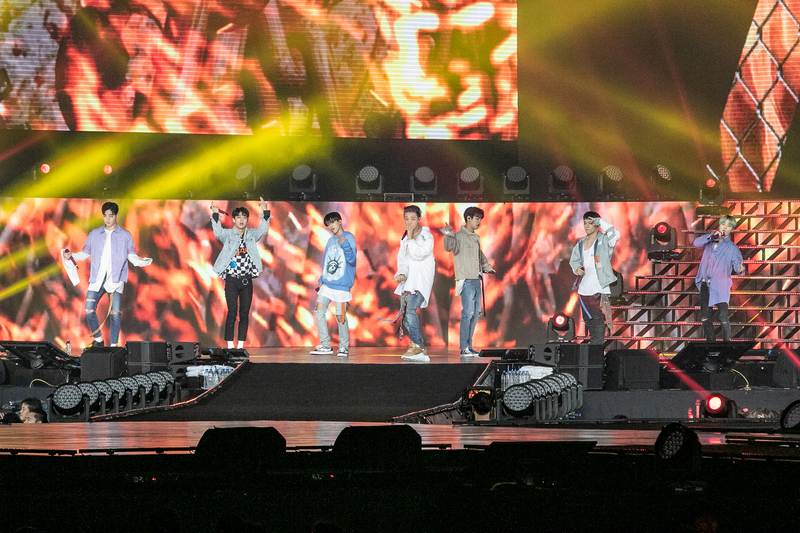 It has been 2 years since iKON came to Taiwan and they started off the concert with ‘Rhythm Ta’, ‘My Type’ and ‘Love Scenario’. While singing ‘Love Scenario’ and ‘B-Day’, all the fans sang along. Next up is the performance by all rounded Mamamoo. All of the members prepared solo stages and they also performed ‘Starry Night’. Even though Moonbyul is injured and had to sit out during the dance performance, Mamamoo’s enthusiasm did not differ. Seventeen Vernon injured his leg and unfortunately unable to attend this event with his team members. Even so, Seventeen still delivered their best performances and also performed their new song ‘THANKS’. 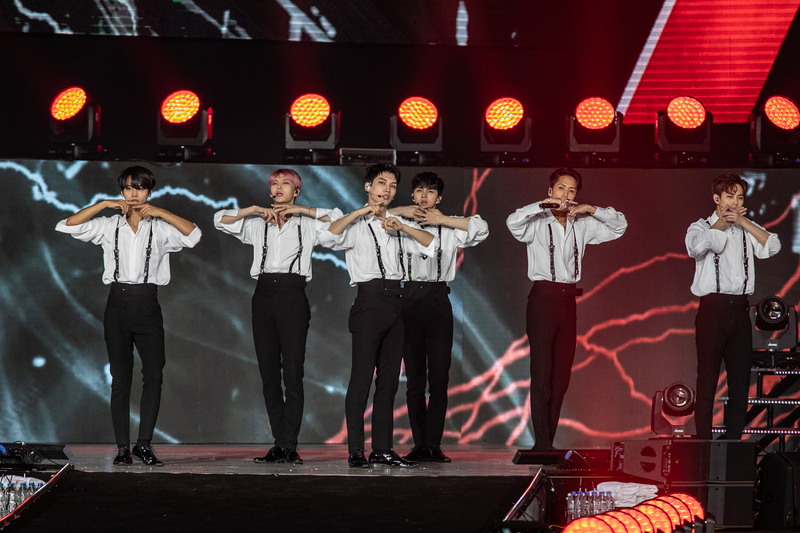 VIXX has been visiting Taiwan every year and their popularity is evident. They performed ‘Scientist’, ‘Shangri-La’, ‘Circle’ and the chinese version of ‘Chained up’. It is not Red Velvet’s first visit to Taiwan but this is the first time where all 6 members are present. They performed ‘Red Flavour’, Rookie’, ‘Peek a Boo’, and ‘Bad Boy’. 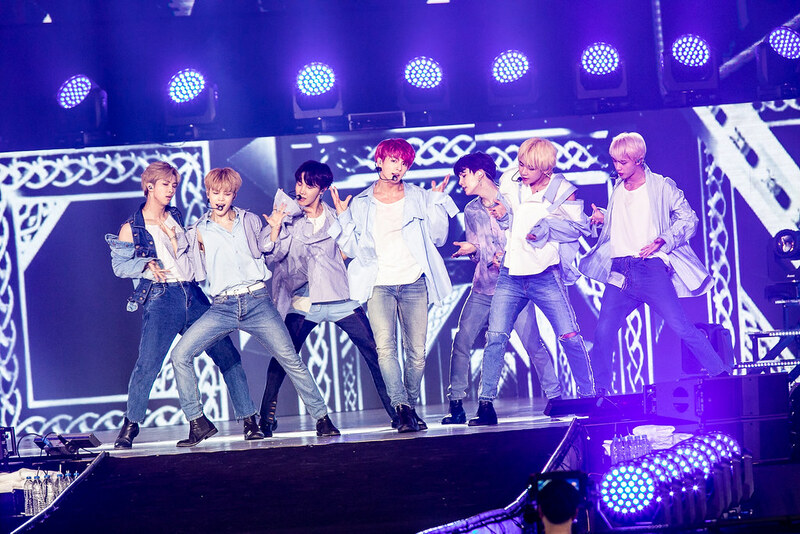 Fans started cheering even before BTS appeared on stage and they performed 5 songs in total; ‘DNA’, ‘Air plane pt 2’ , ‘Anpanman’, ‘Spring Day’ and ‘Fake Love’.